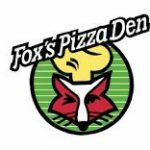 Premier Commercial Real Estate Services is happy to announce Fox’s Pizza Den has opened in Cheat Lake’s Fort Pierpont Development! 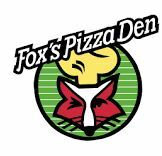 Adjacent to Pierpont Landings off of I-68 in the Cheat Lake area of Morgantown, Fort Pierpont’s excellent visibility off I-68 is allowing it to become Cheat Lake’s prime retail, restaurant and office location. For Pierpont is presented exclusively by Premier Commercial Real Estate Services.